At Hearing Health we are not only committed to minimising the impact of hearing loss through providing the latest range of hearing aids and accessories, we also want to protect your ears from preventable harm. 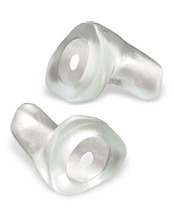 Our selection of ear protection accessories represents the most effective ear plugs on the market. Whether you are a musician, industrial worker, or gun enthusiast, we have the hearing solution for you. Musicians Earplugs: Custom crafted high-fidelity ear plugs developed by ETYMOTIC that evenly reduces sound levels in such a way that they reduce the risk of hearing damage, while enhancing the musician’s ability to hear their own instrument and blend with the band as a whole. Industrial Ear Protection: We stock HD.15 high definition electronic ear plugs specifically for construction crew and heavy machinery workers wanting to stay safe in the workplace. They protect against sudden, low impact noise while allowing the user to stay aware of their surroundings through a built-in electronic amplifier. 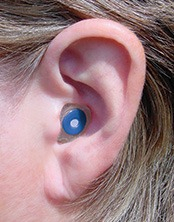 Shooting Hearing Protection: GSP.1 electronic ear plugs provide the enhanced awareness, clear communication, and blast awareness all gun enthusiasts require. To make an order, or for a more in depth account of the technical specifications of our ear protection accessories, pay us a visit at our Hamilton office, or enquire over the phone.